This article deals with different types and styles of injectors and mounting them. There are some exceptions to this, notably the Bosch 803 injector used on the Porsche 944 turbo which is 4.7 ohms. Most manufacturers have used both types at one time or another. The trend lately is to use high impedance types in most production cars. The best way to determine impedance is to put a digital ohmmeter across the two electrical connections and see what it reads. The primary advantage of low impedance injectors is a shorter triggering time. When large injectors are fitted to high output engines, low impedance injectors will often give a better idle quality because of this fact. The primary advantage of high impedance injectors is the fact that less heat is generated in the drive circuit and often no external resistors are used. This is the most common type and still the best. 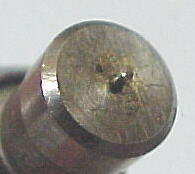 A tapered needle sits on a tapered seat. 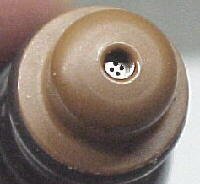 When the solenoid is energized, the core and needle is pulled back, allowing the fuel to discharge. This design has been well proven for over 30 years. The Bosch disc type uses the same type of actuation mechanism as the pintle type but replaces the pintle with a flat disc and a plate with tiny holes. These work fine with a good spray pattern but are slightly more prone to deposits plugging the holes. The Lucas type buries the disc up inside the body to reduce the mass of the assembly for quicker response. The Lucas types typically have a very narrow spray pattern which can affect idle and throttle response in some cases. The Rochester division of GM makes the ball type injector for OE applications as well as the larger flow race types for MSD. These use a ball and socket arrangement. These have excellent atomization and a wide spray pattern but are also prone to partial plugging by varnish deposits. For the majority of injectors, there are two types of electrical connections. 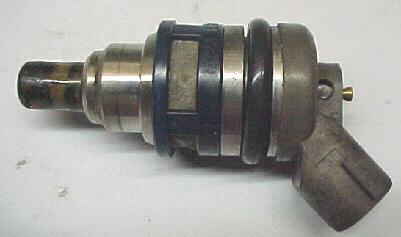 The D-Jetronic type used from 1967 to 1973 or so on Bosch injectors in which the plug fits internally into the injector and the L-Jetronic type in which the plug fits over the injector offreing a waterproof seal. 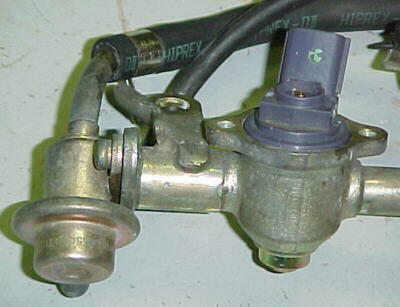 Most injectors of all brands built after 1974 use the later type. 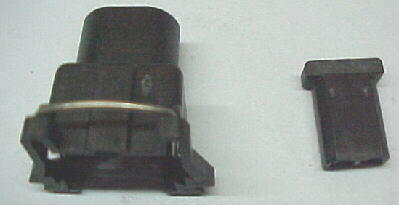 Unfortunately, several Japanese manufactuers, notably Subaru and Toyota decided to make their own style connectors in the late ’80s. These use an oval shaped plug. The D-Jet type will fit most types but is not waterproof. 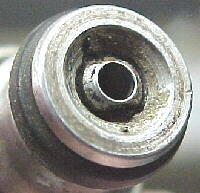 Fuel transfer from the fuel rails was done with barb fittings and hose on early injectors as shown on the left above or small or large O-rings as shown above on the right. The later type uses a rigid fuel rail to hold the injectors down to the manifold as well as seal to the O-rings. Sealing injectors to the intake manifold usually involves one of two methods. 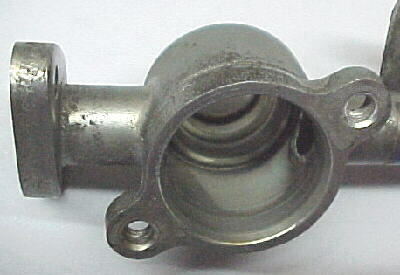 Older type injectors used a square section O-ring slid over the pintle cap to sit against the steel injector body. 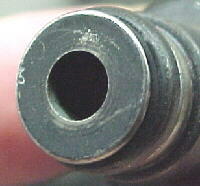 Newer injectors use a 14mm round section O-ring sitting in an isolated groove. Some new engines use side inlet injectors, notably Subaru, Nissan and some Ford/Mazda engines. These are not compatible with other types. Most OE injectors are quite small because stock power outputs are usually quite low on production engines and metering is more precise with small injectors for better idle and emissions. Very few production engines use an injector flowing more than 500cc/minute or 50lbs./hr. For performance applications, engines often require much larger injectors to satisfy the increase in fuel flow. Often larger OE injectors can be fitted from a different engine. Sometimes aftermarket ones must be used. MSD makes 50, 72 and 96 lb./hr. types for racing which are popular. It is essential that you have injectors large enough to feed your engine at maximum power. Most OE systems maintain a fuel pressure of between 36 and 43.5 psi over the intake manifold pressure. Fuel pressure can be raised to increase the rate of fuel flow but this should not exceed 60 psi in most cases. It takes 4 times the fuel pressure to double fuel flow. Raising the pressure to extreme levels is very hard on the pump and can lead to leaks or failures in the plumbing and injectors themselves. Use the proper flow rate for the intended application. If you plan to fit used injectors to a performance engine, always have them flow and leak tested first. If they are not in proper condition, the engine will never run well.